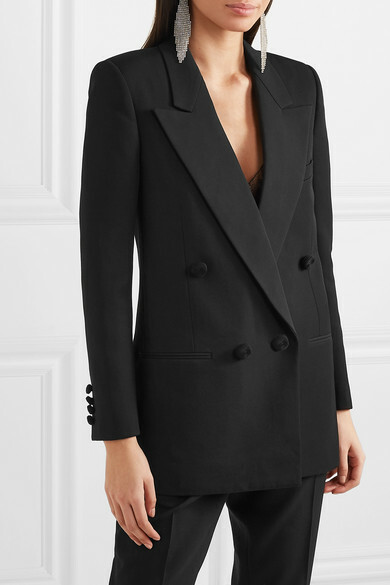 Saint Laurent's wool blazer was first out on the Paris runway for Spring '19, where Anthony Vaccarello's models literally walked on water. 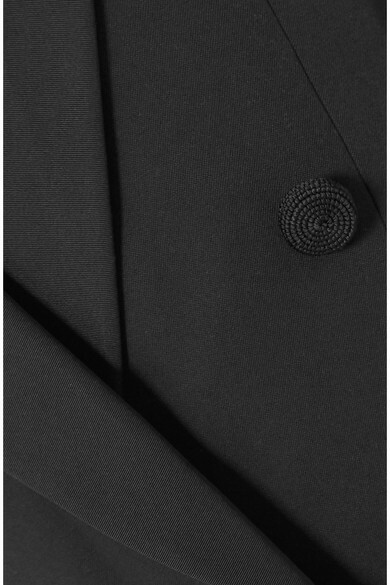 Inspired by archival Yves tailoring, it's cut in a slim double-breasted shape and trimmed with lustrous satin at the lapels to match the covered buttons. 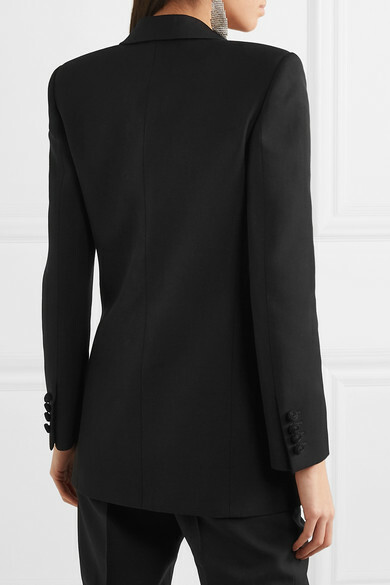 Wear yours as a suit with statement accessories, like crystal-encrusted earrings or snakeskin boots. Shown here with: Saint Laurent Camisole, Saint Laurent Belt bag, Saint Laurent Sandals, Saint Laurent Earrings.